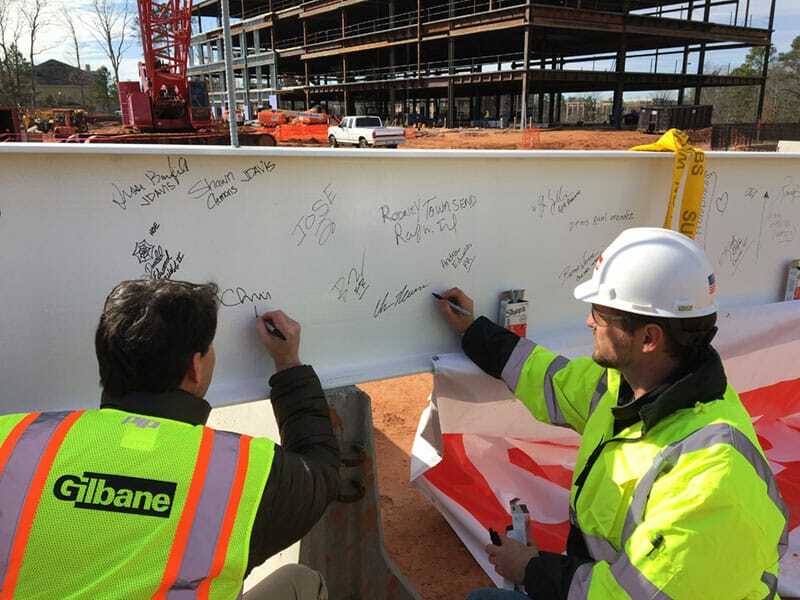 With Gilbane’s experience in pursuing LEED® certification, we identify ways to reduce energy consumption and maximize operational efficiency. Client Name: Heritage Properties, Inc. 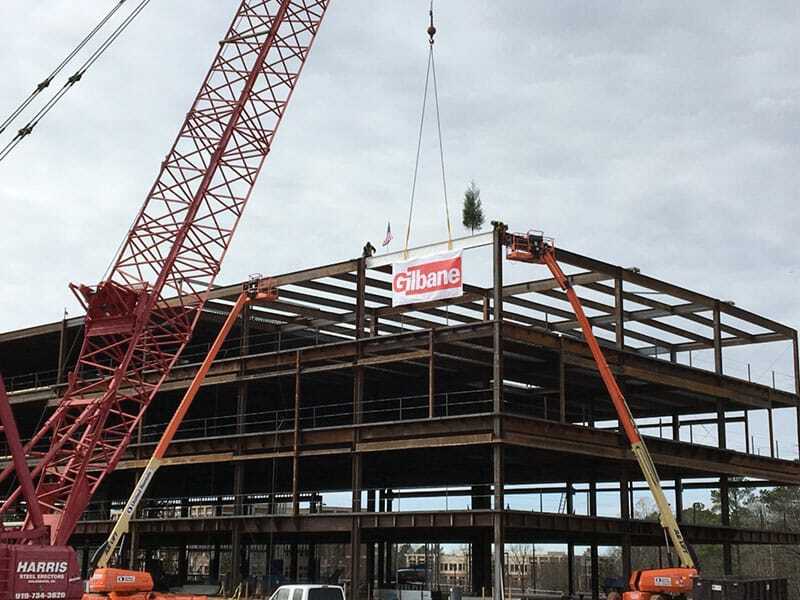 In the fall of 2016, Gilbane broke ground on a new 121,000-square-foot Class A office building for Heritage Properties. The cutting-edge office building offers floor-to-ceiling glass curtain wall panes allowing for abundant natural light. Other features include tenant lounge, fitness center, and outdoor terrace with grills. The project includes 518 parking spaces on site. The 4-story building is centrally-located in the Brier Creek area of the thriving Raleigh-Durham markets in North Carolina. 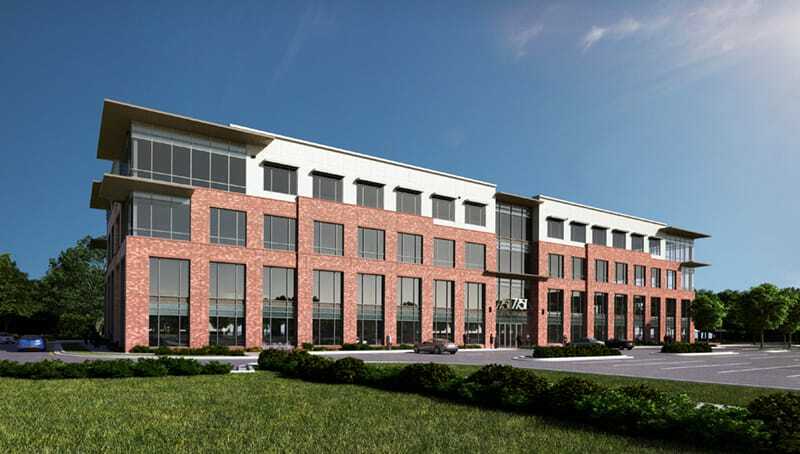 This convenient location within a master planned community will allow tenants to be within walking distance of many retailers, restaurants, shops and entertainment options and within 3 miles from residential areas. – Ryan Blair, Vice President | Development & Acquisitions, Heritage Properties, Inc. The project is designed for LEED® Silver Certification. The space is scheduled to be completed in the summer of 2017.